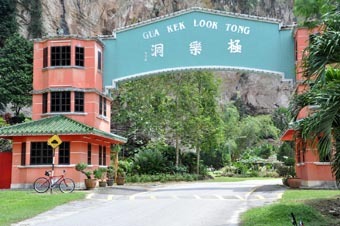 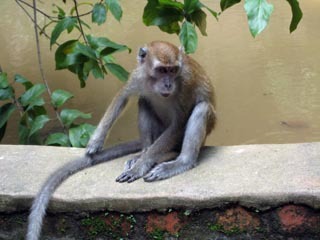 The Kek Lok Tong Cave Temple is a tourist attraction situated in the natural and picturesque area of Gunung Rapat in the south of Ipoh - the capital of Perak state in west Malaysia. 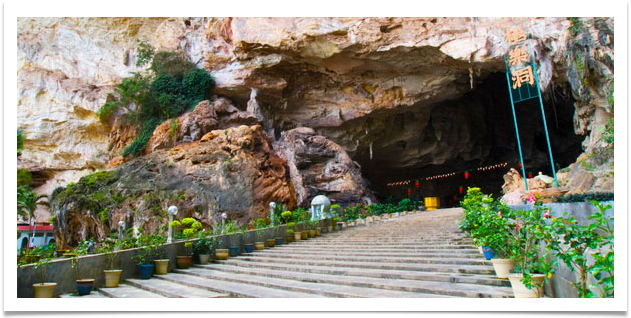 The cave temple sits on a 12 acre site and was used as early as 1920 as a place of worship. 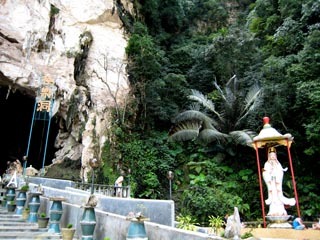 In 1960, the cave became part of an iron mining site, this temple is set in a huge cave in the limestone outcrops behind Gunung Rapat, about 5km south of Ipoh City. 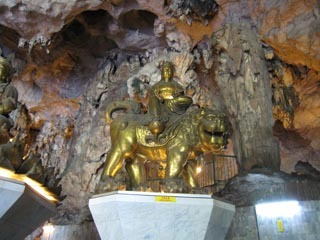 The Kek Lok Tong complex comprises a central altar featuring a number of Buddhist figures as well as various deities of the Chinese pantheon. 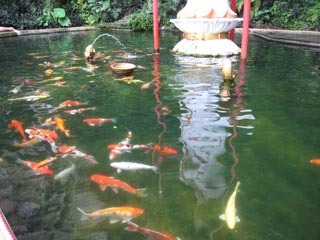 The most unique about the caves is there are another great garden view once you get inside the caves. 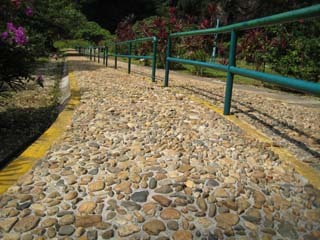 The limestone hill is made up of light grey to white crystalline Kinta limestone interbedded with about 5mm to 1cm think argillaceous material bands. 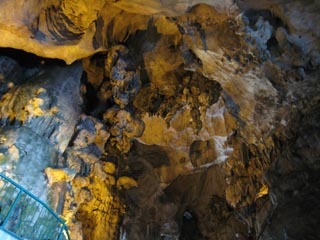 Primary iron can still be seen within the limestone. 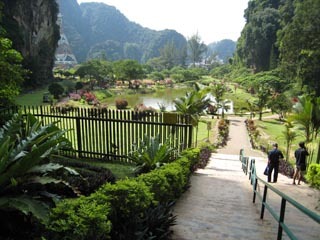 The award winning landscape garden features a jogging path circling two lakes and one of the longest reflexology footpaths in Ipoh.